Holcroft Hall came into the possession of the Tyldesley family by the marriage of Thomas Tyldesley 1657-1715 ("the Diarist") to his first wife Eleanor Holcroft in 1679. It was eventually to be sold in July 1770 following the death of the Diarist's grandson, James Tyldesley 1719-1765. 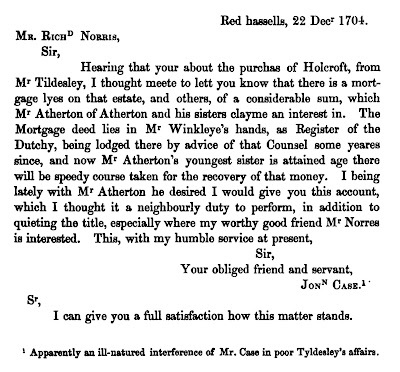 Red hassells, 22 Decr 1704. Sr, I can give you a full satisfaction how this matter stands. 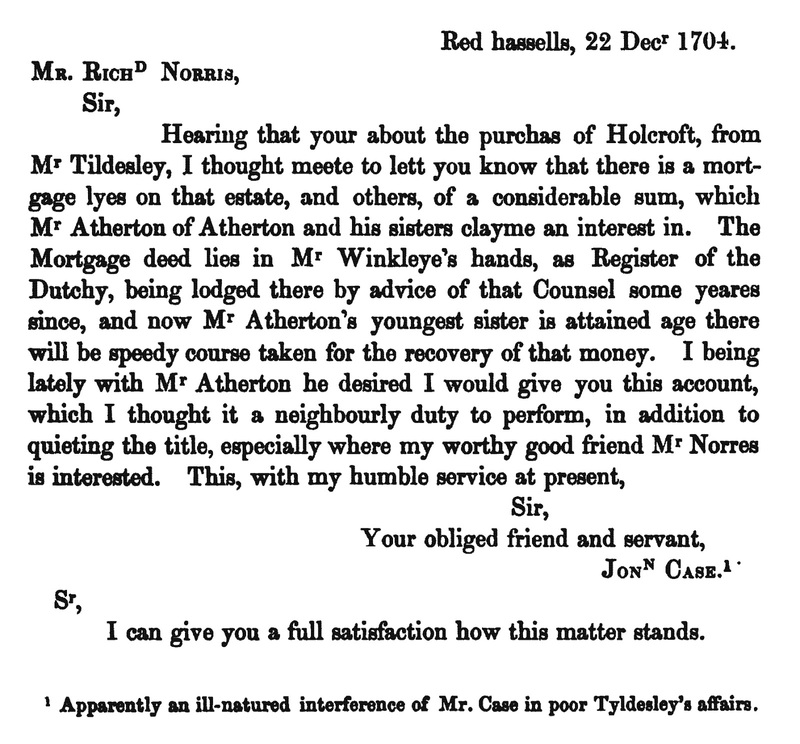 The writer is likely to be Jonathan Case of Red Hazels or Redhasles in Huyton.